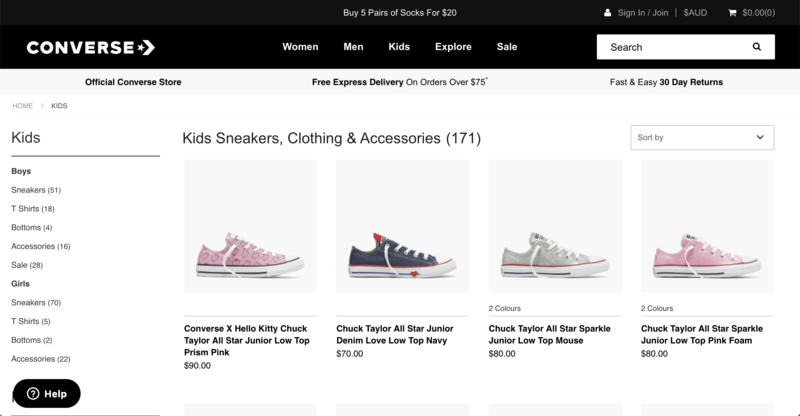 April 2019: Converse coupon and other discounts. Free Australia-wide shipping on orders $75+. Easy 30 Day Returns. Converse is an American shoe brand. It is one of the most popular shoe brands among young adults offering shoes and apparel. It sells under the trade names of Chuck Taylor All-Star, John Varvatos and Jack Purcell. The brand has created a street style culture. It has brought the element of coolness in its designs. It is easily recognized with its star insignia. Don’t forget to use your Converse voucher code at the time of shopping to avail great discounts. Converse was founded in 1908 by Marquis Mills Converse and is a subsidiary of Nike. It designed shoes specifically for basketball players. Then it started to manufacture military footwear during World War II. Now the brand is widely known for its casual shoes. They symbolize pop culture, sports and the streets. The brand struggled to keep up with the competition and was acquired by Nike in 2003. It continues to sell Chuck Tayler All-Stars. You can buy the coolest pair of sneakers using Converse voucher during the Converse sale. Converse (Australia) sells a wide range of shoes and apparel. They are particularly popular for their sneakers and can be bought using coupons and vouchers for a discounted price. If you thought that the Converse Sale 2018 had amazing offers, wait until you find out what’s in store this year! If you enjoyed great discounts using Converse coupon codes 2018 then you’ll surely be excited about this year's coupons. Women: With a variety of shoes, hoodies and accessories, you can always mix and match! If you couldn’t make use of Converse voucher codes 2018, make sure you don’t miss out on Converse 2019 vouchers to get discounts even on the most expensive sneakers! Men: You can shop by categories or collections. There are several designs, both patterned and plain, to select from. Use a Converse coupon code to make great savings during the Converse sale. Kids: The little ones can frolic around in their stylish and colourful Converse sneakers and t-shirts! Don’t forget to use a Converse discount coupon to avail Converse cashback. Explore: In the explore section, you will find some of the most unique collections such as Converse X Shrimps, Converse X HelloKitty and more. Use a Converse discount voucher to avail Converse cashback offers. 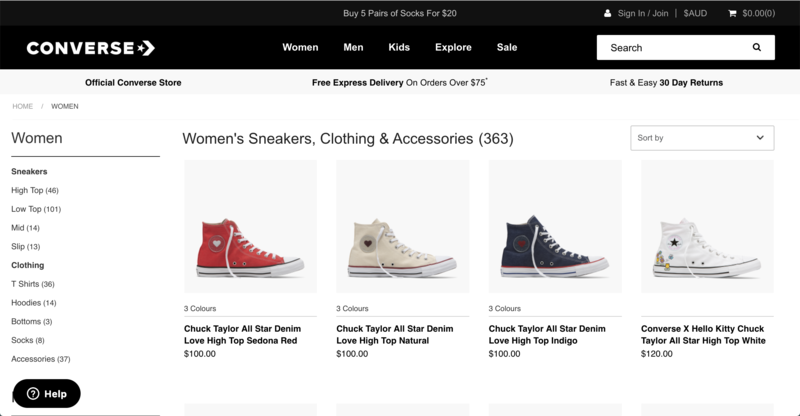 Converse.com (Australia) offers several payment options to its customers. Converse accepts Mastercard, Visa and American Express credit and debit cards. It also accepts online payments through PayPal. You can also purchase their products using Afterpay or Union Pay. You can use a Converse coupon for getting a discount when you shop online. Look for the ‘Sale’ section on the header of the website. Here, you will find a list of all the products available at a discounted price. Keep checking the website so you don’t miss out on the Converse sale. You can find discount Converse shoes and offers on their other products on their social media pages as well. You can also look for a Converse discount code on the web for a Converse special discount. How to Redeem Converse Promo Code on Converse.com (Australia)? A lot of customers used the Converse promo code 2018 to avail great discounts on the Converse.com (Australia) website. If you couldn’t get your hands on last year’s coupon codes make sure that you watch out for 2019 Converse promo codes. Enter the Converse code at the time of checkout to get your order for a lesser price! 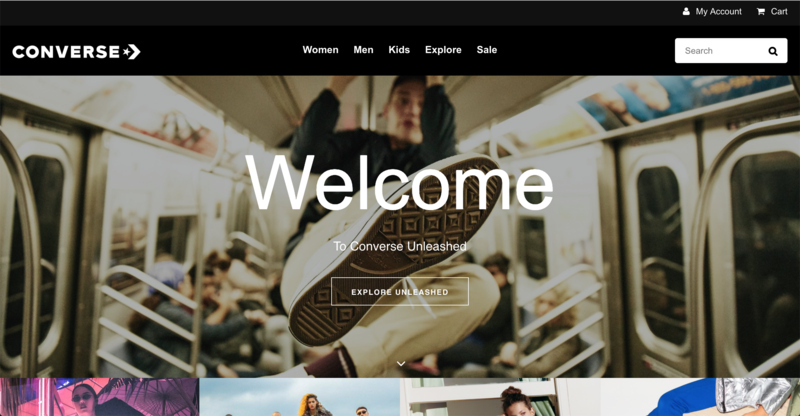 How to Shop on Converse.com using ShopBack? Whether you buy Converse high tops or shoes, you are eligible for up to 5.00% cashback when you shop through ShopBack. Step 1: To take benefit of Converse cashback offer, visit Shopback.com.au and search for Converse on the search bar and click on the displayed result. Step 2: Click on the ‘Activate Cashback’ button you see on the top left corner of the page. Step 3: Look for Converse promo coupon on shoes and apparel and more on the right side of the page to receive a Converse special offer. Click on ‘Get Deal’. Step 4: You will be redirected to the Converse (Australia) website. Shop on the online Converse store to become eligible for cashback. Make sure you use Converse discount vouchers approved by ShopBack. Converse provides free delivery on orders above $75. The brand charges $10 as a delivery fee on orders below $75. If you want to return a product, click on ‘Return’ at the footer of the website. Returns are valid within 30 days of delivery. Do look for a Converse promo to reduce the price of your purchase. Click on ‘Contact Us’ and ‘FAQ’ at the footer of the homepage to find answers to some of the most common queries that shoppers have. You can also get in touch with Converse’s customer service team to further get your queries resolved. You are eligible for cashback even when you shop from The Iconic or Amazon Australia and many other stores via ShopBack.